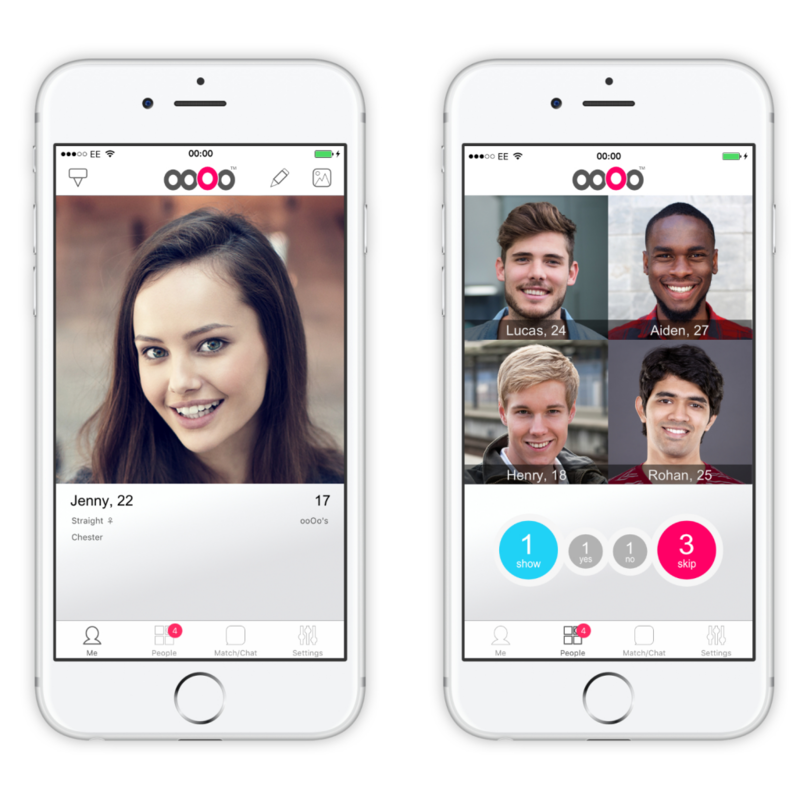 ooOo™ is a free dating app for iOS that brings to you a brand new way of matching with local people. Rather than swiping left and right, which is what most apps do it has a system that provides more engagement and excitement. ooOo™ shows you four potential matches and you tap the one you’re most interested in. 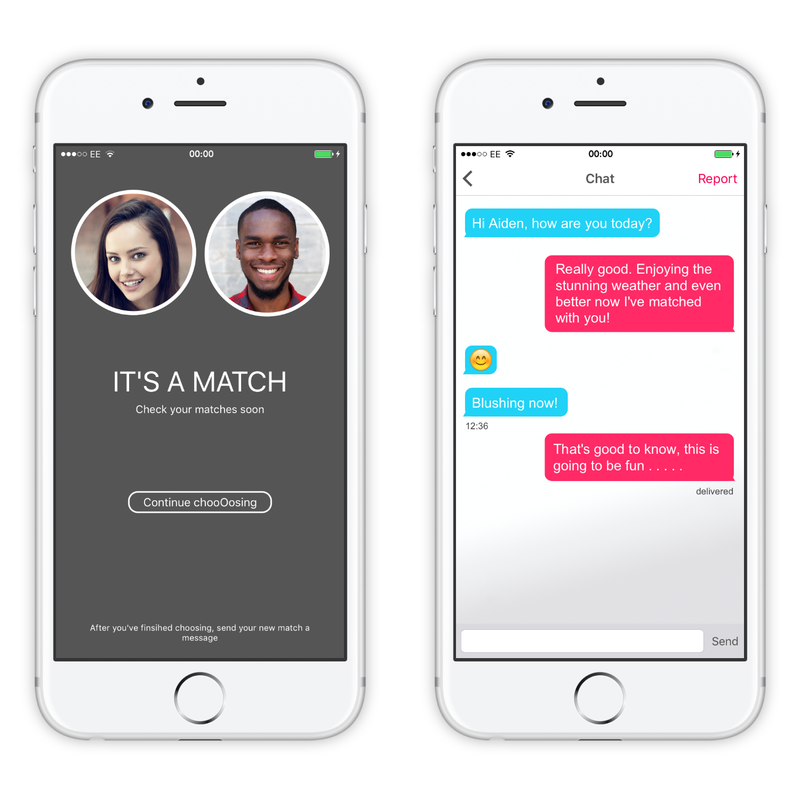 If they tap you too then it’s a match and you can start a conversation within the app. As you can see in the screen shots below there is some information to help you make your selection. Firstly you can see how many of the four have said, yes or no to you but not who. You also have two special options. ‘Show’ shows you who said yes and ‘Skip’ lets you avoid picking anyone. But show and skip can only be used limited times per day. ooOo™ is 100% bespoke and doesn’t use any off the self components. This ensures the app is very fast and special attention has been paid to slow connections and offline dating. If you loose your phone signal then you can still send messages and pick new potential matches. As soon as you get a new connection all data is synced back up. ooOo™ has also been designed with security in mind. The password and token system uses methods that would take thousands of years for a strong password to be reverse engineered. All data between the handset and server is encrypted with SSL. But most importantly the app doesn’t ask you lots of personal questions. It asks just enough to match you with the right sort of people. Visit the ooOo™ homepage or download it now for iOS. It is fully supported on iPhone, iPad, iPod Touch for iOS 8.0 and above.